An effective protective formula for hair care. Contains sunscreens for protecting exposed hair against UV rays. Helps preventing premature graying of hair. Leaves hair conditioned and nourished. Keeps you well groomed all day long. Apply on wet hair by massaging the cream onto the scalp. Groom afterwards. 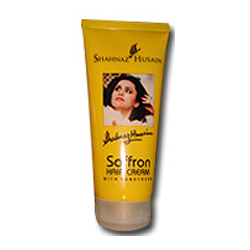 For dandruff, apply half teaspoon Shaoint-Hair Formula on scalp. Leave for one hour and then wash hair. For hair loss, apply daily. Tinosorb-M, Saffron, Tulsi, Neem, Perfum, Benzophenon-3, Menthol.